They're churning it out at Little Baby's Ice Cream. If 2017 has taught us anything, it's that people really, really like food mash-ups. Take Oreo, for instance. The brand is one of many that understand the appeal of seriously out-there flavors. 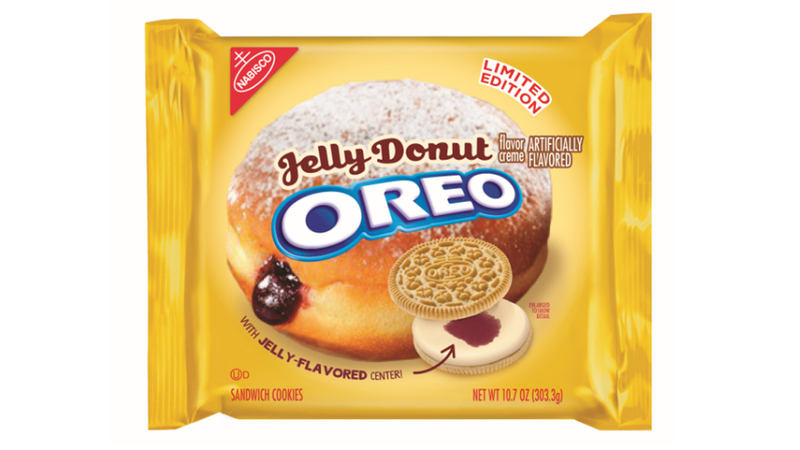 This year alone, they've debuted “Fireworks Oreos,” their new Coconut flavor, a Salted Caramel combo, plus Waffles & Syrup and even Mississippi Mud Pie flavors. And the world of mash-ups isn't all about sweet confections. There have been some innovations in the savory world, too. From Popeyes, we saw cookie-coated chicken tenders. From Taco Bell, there were chicken nugget chips. And who could forget the chicken-flavored chocolate truffles KFC offered for Mother's Day? Now, we're witnessing what just might be the ultimate mash-up of all. It combines the sweet and savory worlds, it's entirely unexpected, and it can even be served on top of the very thing it's mashing up. Over at Little Baby's Ice Cream, a creamery in Philadelphia, they're churning out—wait for it—pizza ice cream. The shop shares retail space with Pizza Brain, a local pizzeria, and apparently, the wacky flavor is Little Baby's owners' way of showing their neighborly appreciation. And this isn't the shop's first foray into the world of crazy flavors. It turns out Little Baby's has also been making fun combos like Earl Gray Sriracha, Cucumber Dill, Everything Bagel, Strawberry Peppercorn, and Ranch for a while now. But their newest flavor is sure to capture the most hearts. According to Circa, it contains crushed tomatoes, oregano, crushed red pepper, raw garlic paste, basil, and salt. The best thing about the flavor, though, is the fact that you can scoop it right onto a slice from Pizza Brain, just in case you're craving pizza in ice cream on a pizza. We're certainly curious about the combo. Talk about having your pie and eating it, too.